For the last few decades there has been a pollinator crisis all around the world. Bees and other insects, crucial for pollinating crops grown for human consumption are disappearing alarmingly fast. The underlying reasons are complex but the two major causes are habitat loss due to climate change and pesticide use. Both of these prevent pollinators from finding and eating nutritious, healthy food. On a sunny October day, before the cold has come in we talked with the children about pollinators: what were they, where they lived, what they ate and why they are so very important. We talked about the challenges they are facing and how they are going hungry and poorly. We decided to grow some food for them! We got hold of native wildflower seeds. 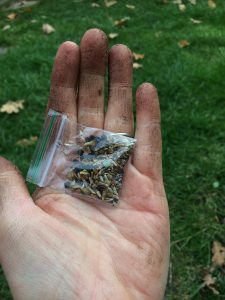 These can be sown in autumn and spring alike but in case of the first, the seeds will be able to germinate and develop roots and shoots (excuse the pun) before winter and will be able to bloom a little sooner than those sown later. 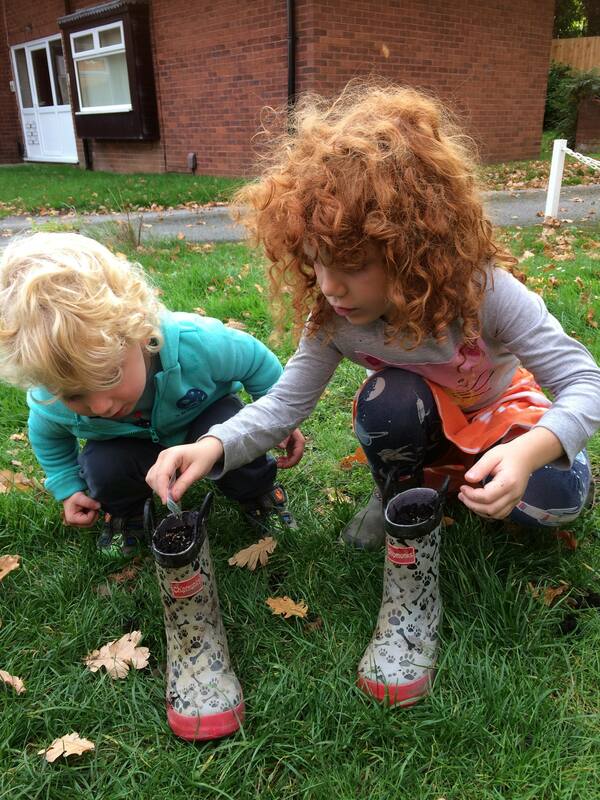 The children filled some pots and old wellies with soil and scattered the seeds on top of them. They threw a thin layer of soil on top of the seeds and lightly watered them. Following this we put them aside to do their job. Watch this space for news! Filed under Mission Updates, Wirral Home Educators.